We’ve had a quite relaxing weekend even though we’ve spent several hours doing some last finish touch-up painting job before selling our apartment. Actually, to be more exact, my hubby has done most of the work as I’m still having issues with my hip after the cortisone shot a few days ago. Yesterday we had a nice evening with my brother. We BBQ’d and watched the finale of the Swedish selection to the Eurovision Song Contest. Love the song which won!! 🙂 Sanna Nielsen with the song Undo! 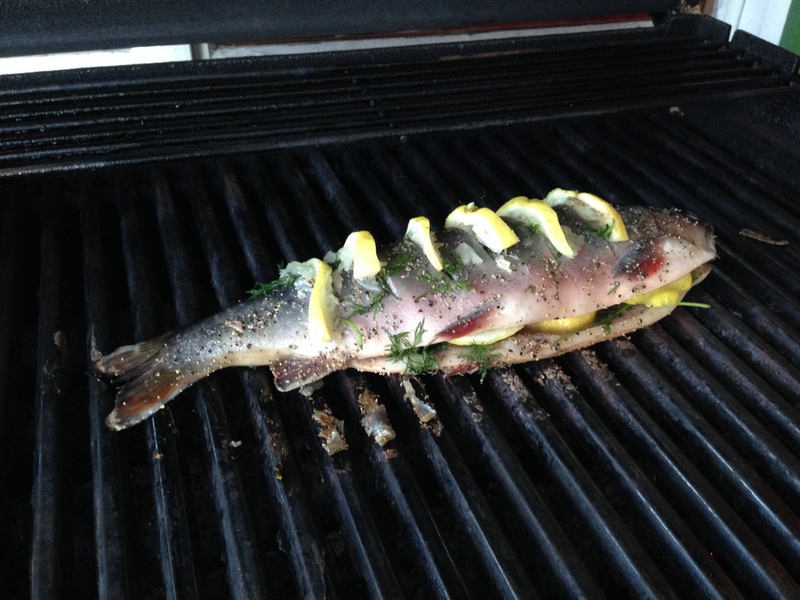 For dinner my hubby grilled a char stuffed with lemon and dill. I made a roe sauce and we also grilled potato. As my brother don’t eat fish he enjoyed a steak. I’m sure we had a far better dining experience! 😉 The char was so big that we’ve now enjoyed it for three different meals… dinner, breakfast and lunch! The char on the grill. 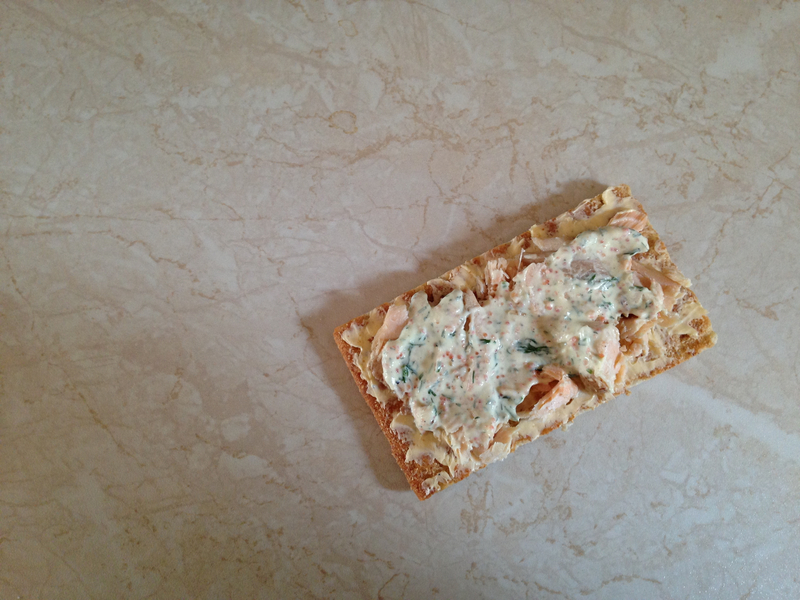 Cold char and roe sauce on crisp bread for breakfast today. 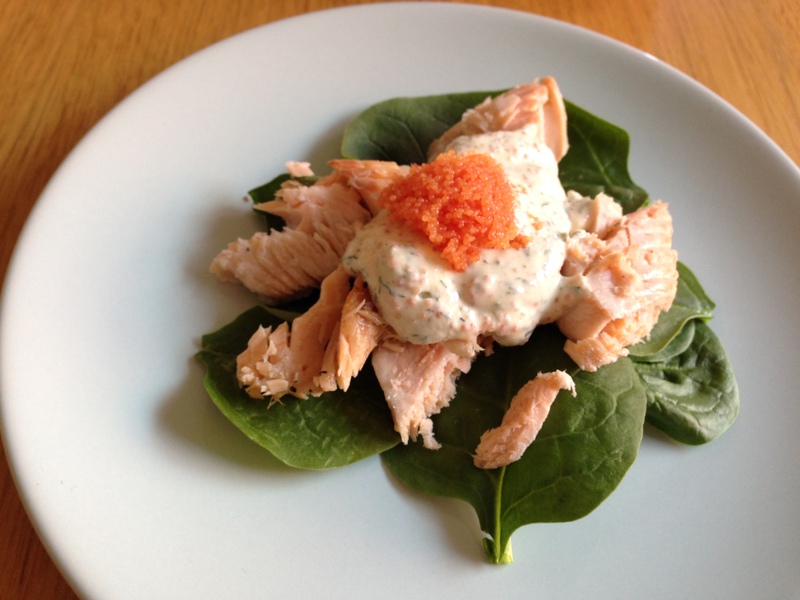 Cold char with roe sauce on a bed of baby spinach.